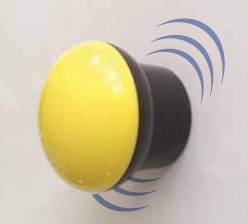 Audible stud finder for plaster, sheetrock, metal studs, tile and more. Super-strong magnets detect stud screws with no false positives. No Calibration, No Batteries, NO MISTAKES! Guaranteed Rugged Impact Construction. 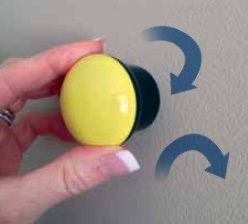 Patent pending magnetic design. 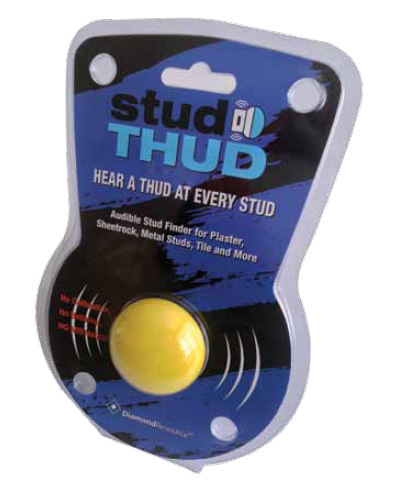 Download the StudTHUD Basic sales sheet.